Yale University Press, 9780300176490, 352pp. Turn on the faucet, and water pours out. Pull out the drain plug, and the dirty water disappears. Most of us give little thought to the hidden systems that bring us water and take it away when we re done with it. But these underappreciated marvels of engineering face an array of challenges that cannot be solved without a fundamental change to our relationship with water, David Sedlak explains in this enlightening book. To make informed decisions about the future, we need to understand the three revolutions in urban water systems that have occurred over the past 2,500 years and the technologies that will remake the system.The author starts by describing Water 1.0, the early Roman aqueducts, fountains, and sewers that made dense urban living feasible. He then details the development of drinking water and sewage treatment systems the second and third revolutions in urban water. He offers an insider's look at current systems that rely on reservoirs, underground pipe networks, treatment plants, and storm sewers to provide water that is safe to drink, before addressing how these water systems will have to be reinvented. 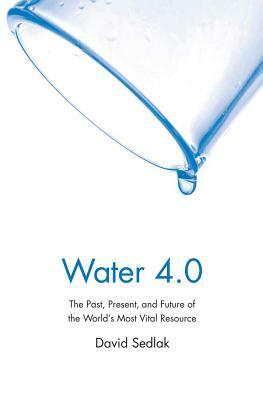 For everyone who cares about reliable, clean, abundant water, this book is essential reading. David Sedlak is the Malozemoff Professor in the Department of of Civil and Environmental Engineering at the University of California, Berkeley, co-director of the Berkeley Water Center, and deputy director of the National Science Foundation s engineering research center for Reinventing the Nation s Urban Water Infrastructure (ReNUWIt). He is the 2014 recipient of the National Water Research Institute Clarke Prize."